Seismic vessel owner Polarcus Limited has appointed Lars Oestergaard as chief operating officer effective immediately. He will lead the company’s geophysical, operations and sales teams as well as the EHSQ department. 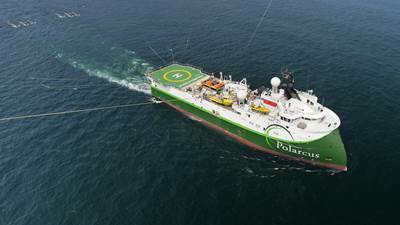 Oestergaard joins Polarcus from Maersk Drillingm, where he held a number of operational and commercial roles, most recently as chief commercial officer. Oestergaard has been awarded 350,000 performance share units and 150,000 restricted share units under the Company's 2018 Long Term Incentive Plan. He currently holds no shares in the company.